Julian’s room was small, and painted an incongruously cheerful shade of blue. A white-painted four-poster bed dominated the space. Emma tugged him toward it, sitting him down gently, and went to bolt on the door. “Why are you locking the door?” Julian raised his head. It was the first thing he’d said since they’d left Ty’s room, though he’d followed her calmly enough. “You need some privacy, Julian,” she said. She turned toward him; God, the way he looked broke her heart. Blood freckled his skin, darkened his stiff clothes, had dried in patches on his boots. Livvy’s locket glittered in the hollow of his throat, though it had dangled against Livvy’s sternum. Emma remembered that locket: a gift from Julian to his sister when she’d turned thirteen, it had belonged to their grandmother. It had a circlet of the family thorns on the front, and Julian had added an etching to the back: a pair of crossed sabres, Livvy’s weapon. It held a picture of Ty, Emma knew. She’d barely noticed Livvy wearing it at the Council meeting, though she knew Livvy often wore it when she was feeling nervous, the same way Emma kept tight hold of Cortana. 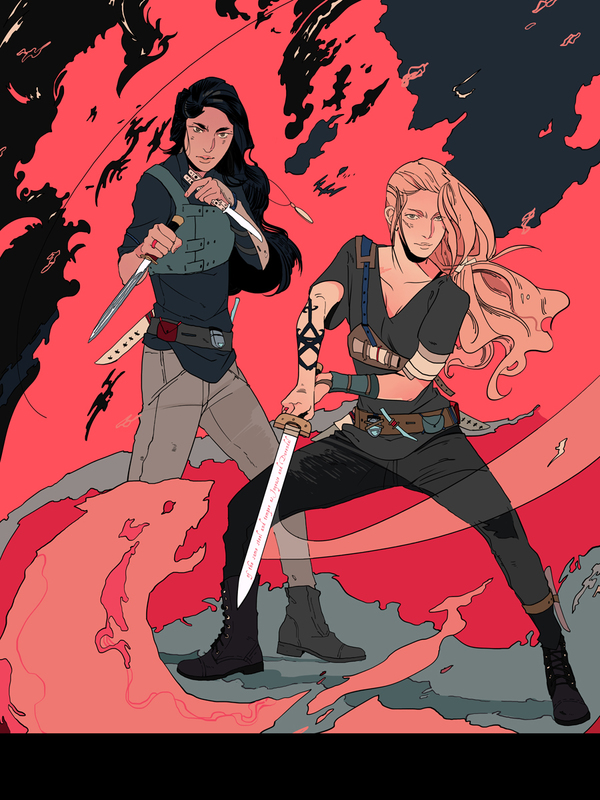 She wished she’d noticed Livvy more in those last moments, paid more attention to her, rather than worrying about the Cohort, about Manuel and Zara and Jessica, about Robert Lightwood and exile, about her own broken, messed-up heart. She wished she had held Livvy one more time, marveling at how tall and grown-up she was, how she had changed from the chubby toddler she recalled in her own earliest memories. He was sitting on the very edge of the bed, as if he couldn’t bear the thought of lying down. Very gently, Emma touched his face, sliding the palm of her hand across his jaw. He shuddered and caught her wrist, hard. “Emma,” he said, and for one of the first times in her life, she couldn’t read his voice — it was low and dark, rough without being angry, wanting something, but she didn’t know what. *clutches her chest* I need a moment. This snippet really pulls at my heartstrings 😥 Reading Queen of Air and Darkness is going to be so painful. Cassie also shared awesome Emma and Cristina art by Cassandra Jean art that fans got at YALLFest. How fierce do these girls look? If you’ve missed previously shared snippets from Queen of Air and Darkness, you can click this link to catch up. What do you think of the snippet? Sound off in the comments below! 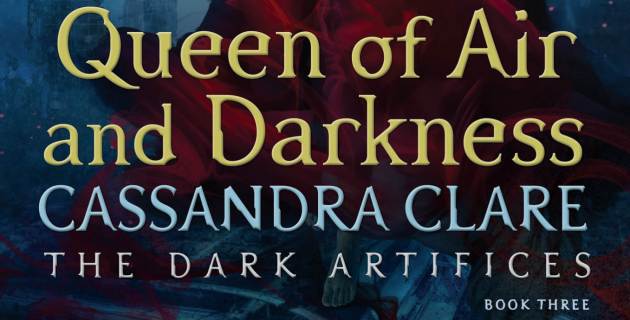 Queen of Air and Darkness is going to be published on December 4, that’s in less than 200 days now! SO. MUCH. PAIN. Ugh. The first part of the book is going to hurt! Do you suppose Ty gives the locket to Julian, or does Julian confiscate it after confronting Ty about climbing the pyre? What is the blood from? Still from the funeral or did they get into a fight? How does Emma ‘help’ Julian? I don’t know why (maybe from the pinterest pics) but I have a feeling Julian is going to turn to physical pain to help him deal with things (kind of like Jace does after City of Bones). I love those Blackthorns (and Emma….really all of them). I’m SO hoping for a happy ending. Holly Black’s comment about us being so happy when we read it gives me hope but man it’s going to hurt getting there. i just want one thing and ill shut up. just let jules have a break. just let him be happy some way some how, hes worked so hard all this time keeping the Blackthorn family together and now with Livvy and its just heartbreaking. Just let him have Emma, he needs this one thing.